Raza Ahmad Rumi is a Pakistani policy analyst, journalist, and author. He has been a leading voice in Pakistan’s public arena against extremism and human-rights violations. 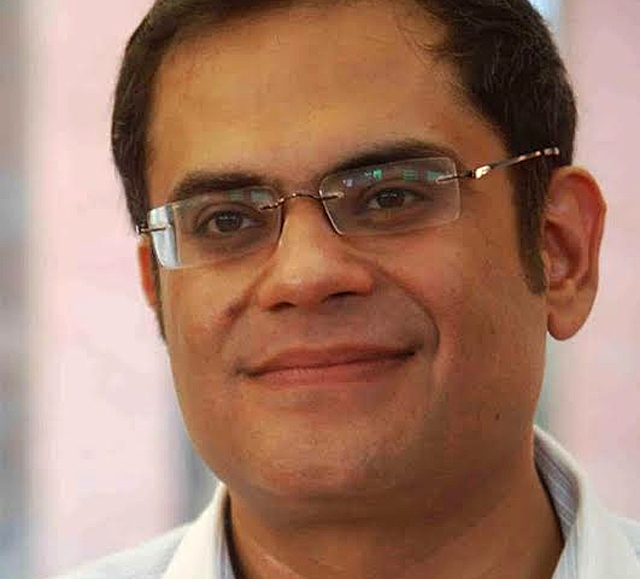 With solid policy experience through his work for the Government of Pakistan and the Asian Development Bank (as Governance Specialist), Raza entered into journalism in 2008. Since then, he has been an editor at The Friday Times, Pakistan’s foremost liberal weekly paper. He also worked in broadcast media as a leading commentator and hosted talk shows at Capital TV and Express News. Rumi was Director at Jinnah Institute, a public-policy think tank, and Executive Director of Justice Network, a coalition of NGOs. As a freelance policy professional he has been advising international development organizations, governments, and NGOs, and, until recently, he headed NAPSIPAG, an Asia Pacific network on governance. Rumi’s writings are archived at razarumi.com. His recent book Delhi by Heart was published by Harper Collins (2013). In March 2014, he survived an assassination attempt by political Islamists in which his driver lost his life. Within weeks, he left Pakistan and was affiliated with New America Foundation and the United States Institute of Peace. Read Rumi’s essay “On the Run” (aeon.co), in which he discusses how calling for secular reform in Pakistan’s politics made him a target for the political Islamists.